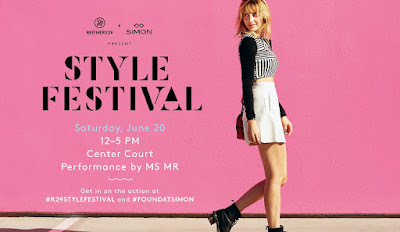 Join Simon and Refinery29 as they present Style Festival, a combination fashion, beauty & music event at Brea Mall this weekend! 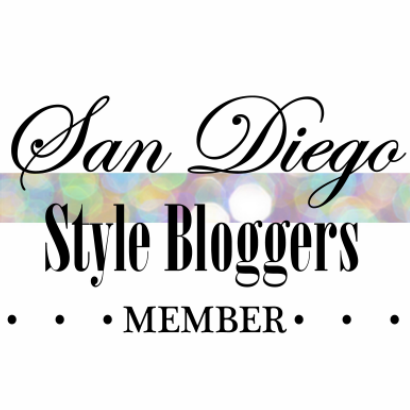 An event that combines fashion, beauty and music in a fun festival type experience! 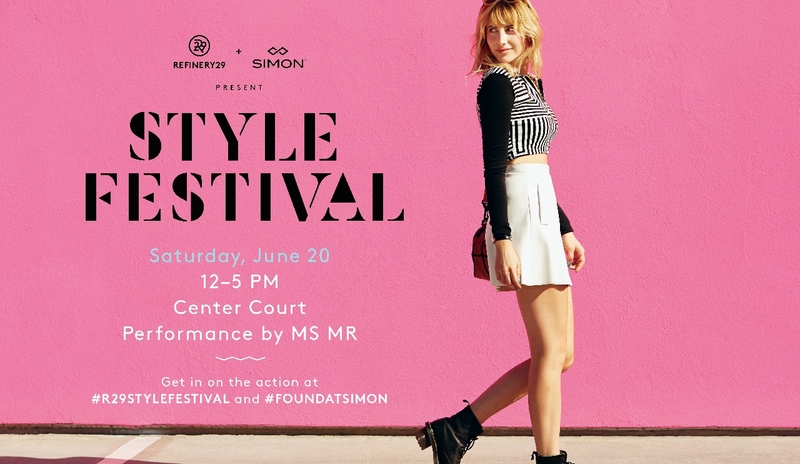 Style Stage: A shoppable "stage" of summer inspired trends curated by Refinery29 editors that feature select items from local boutiques and Brea Mall retailers. Beauty Stage: Pop-up beauty bars featuring festival inspired hair-styling and a temporary tattoo parlor courtesy of Flash Tattoo. DIY Stage: Guests can personalize custom band-inspired tour t-shirts as a keepsake souvenir of the experience! Sound Stage: Guests will enjoy a musical performance by MS MR live in concert!